Emo-punk favorites Modern Baseball are streaming a brand new single today, titled “The Thrash Particle.” As nothing has been announced, it's unknown as to whether or not this current stand-alone single will be featured on an upcoming release. You can listen to “The Thrash Particle” below, (via The Fader). 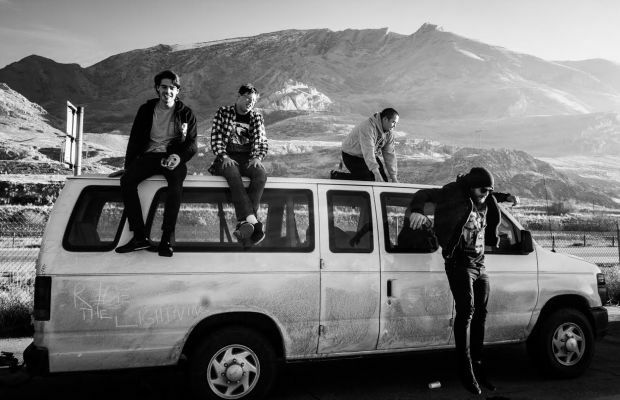 Modern Baseball are scheduled to be on the road for nearly 40 dates between October and December. The band will be joined by PUP, Jeff Rosenstock and Tiny Moving Parts on select stops of the lengthy run. Those dates can be found below with tickets available here.